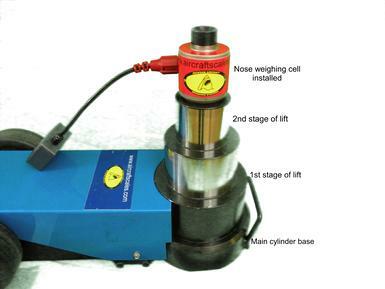 $18,495.00 M2400-5-100CS Wireless Boeing large jet scale under axle systems are available using 100 ton bottle jacks with top of jack mount load cells. This system is low cost, easy to use and deploy using standard shipping like UPS and FEDEX. 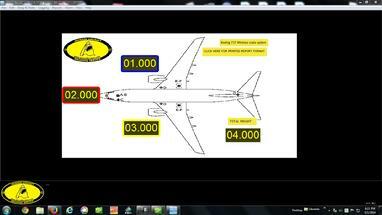 System can be used for a number of aircraft types with "truck" type gear and can be modified for use for three axle aircraft like the 737 as well. Please note: This system is no longer available in wired configuration, we have now made all our large aircraft scale, mutli cell kits wireless. We will be updating our pictures shortly. We have two nose jacks, one larger and one smaller, they both use our small format system cells. Each jack has adapters to assist in fit. Measure your jack points from the point to the ground and give us a call, we can advise on the proper jack and adapter set. 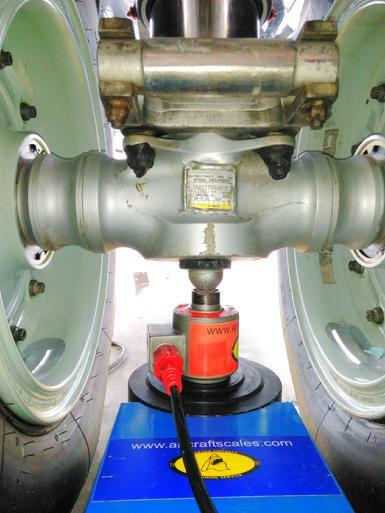 Our under axle jacks are two stage, each jack is load rated and system matched to the scale set. We offer adapters as an option to fit under your axle locations, not only Boeing but Airbus jets as well. One system to weigh all your fleet jets, user friendly and easy to use wireless scales, laptop read out, air operated jacks, call us today and lets discuss your needs.